A lot of things happened recently: Valentine's Day, NBA All-Star Weekend, and today is Presidents' Day. You can go ahead and pick one of those now as the reason for this giveaway, because we don't actually have one. Maybe your V-Day was crappy, so a free tablet will cheer you up. Maybe you're bummed because [spoiler alert] the West lost, so you need a pick me up. Maybe you're not from America and couldn't care less about Presidents' Day – it's a holiday here, and we'll give you a free tablet because of that. 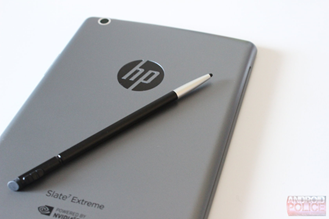 No matter which way you go, the end result is the same: you could win a free tablet. The tablet in question? 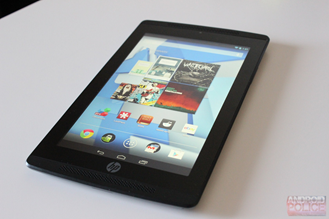 That'd be HP's Slate7 Extreme, which also happens to be a Tegra Note device. If you're not familiar with NVIDIA's Tegra Note platform, here's the skinny: it's built on a seven-inch tablet running the Tegra 4 processor, 1GB of RAM, 16GB of internal storage, and NVIDIA's killer DirectStylus technology, which provides active-like stylus features from a passive pen. If you like using a stylus, then you'll really dig Tegra Note. 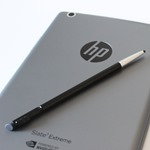 And while there are a few different versions of Tegra Note out there, HP's is probably my personal favorite. This giveaway is available to residents of the following regions: United States Of America (Excluding Puerto Rico and its other territories and possessions), Canada (Excluding Quebec), United Kingdom, Germany, Netherlands, Switzerland, Austria, Norway, Finland, Czech Republic, Australia, China (excluding Hong Kong and Macau), Taiwan, Japan, South Korea, India (excluding the State of Tamil Nadu), and Brazil. So, how to get your name in the hat? By hitting the widget, of course. Do every entry for the best possible chance of winning. We'll let this one run until Friday, February 21st at 11:59 PM, at which time (or sometime after) we'll pick the winners.